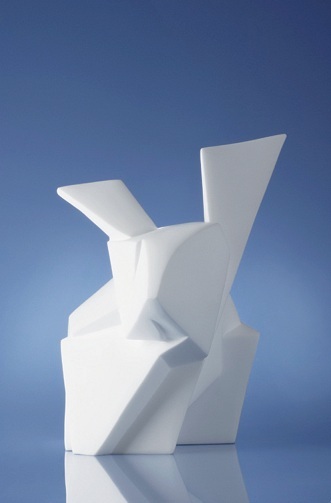 The rabbit JOKIO is the first sculpture created by BLANC BIJOU. BLANC BIJOU is a special material made from a rare and precious material. Having an eternal whiteness and unique touch, this is an exception in the world of art works. An exceptional material which is made of a rare material: fluorite. A soft, sensual sense of touch. This unique material was presented in the International Exhibition “Now design à vivre” in Paris Maison et Objet in January 2012. They were elected as the High Light material of the year. 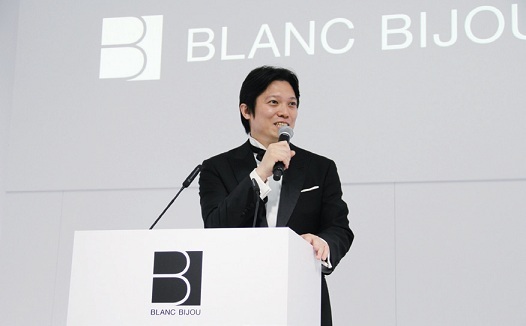 The innovation of BLANC BIJOU is a private and personal initiative of hide kasuga, research engineer in chemistry. It is based on a family business whose story began in 1896. Initially specializing in hemp and flax trading, la Maison kasuga is internationally recognized in its quality of its fabrics, since 1944, a cluster of research and development of innovation was established, it is specialized in the production of decoration made in hemp and silk and the design of polymers. 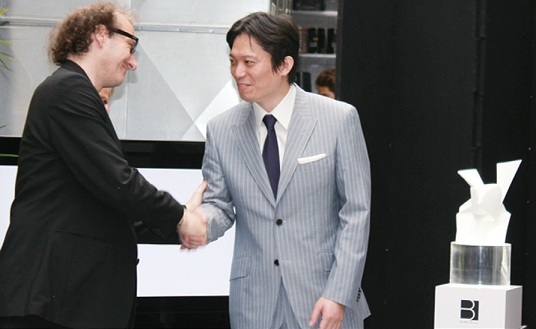 In 2009, when hide kasuga took the lead of the family group NiKKi Fron, the financial crisis has already spread abroad. In 2011, while the family company celebrates its « 115 years of innovation », the brand’s functional values of products of the leading sector evolved, towards the sensory values. BLANC BIJOU expresses the sensitive side of the world. It also indicates the marriage of science and sensibility : a new world of innovation and design which opens up our most creative side.